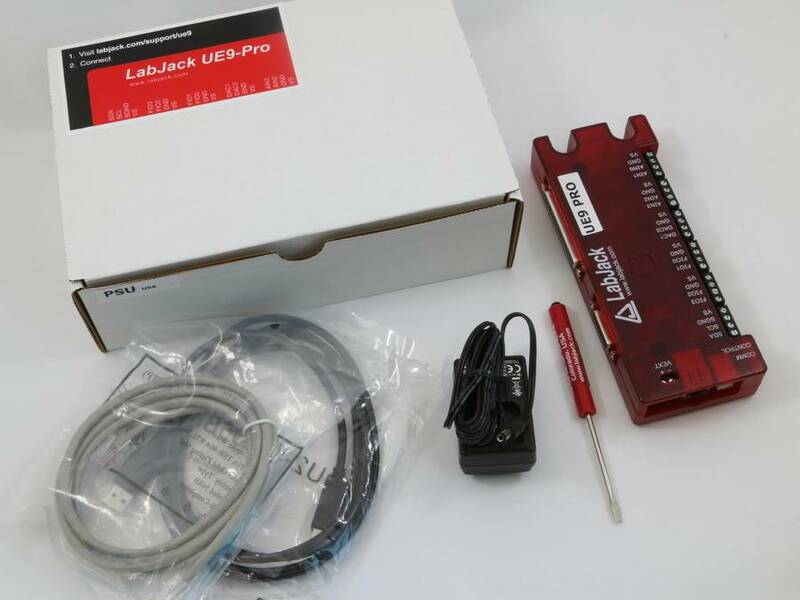 What is a LabJack UE9 PRO ? 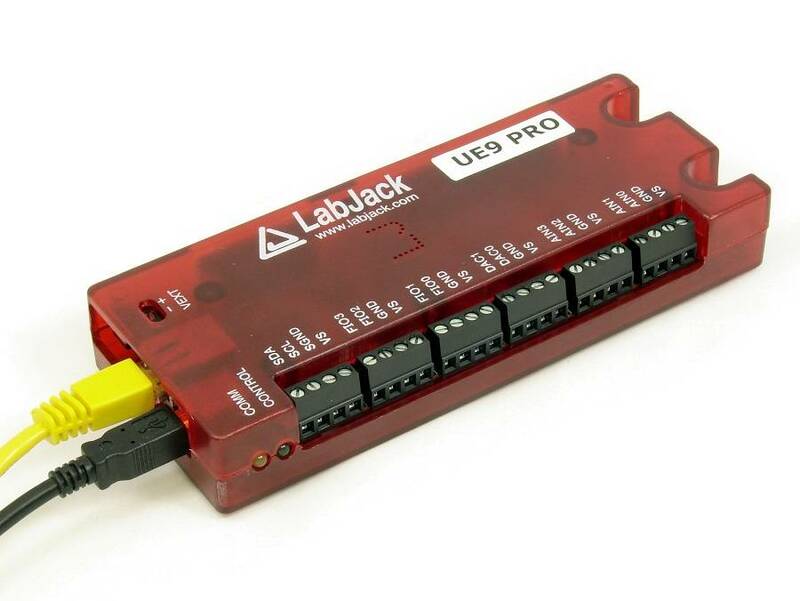 The LabJack UE9-Pro is like a normal UE9, but with an additional low-speed 24-bit sigma-delta converter. 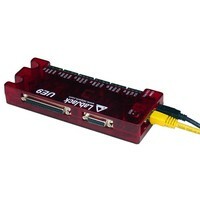 This lets you get a couple extra bits of resolution (about 20 bits effective), with improved accuracy and linearity, and takes about 125 ms per sample. 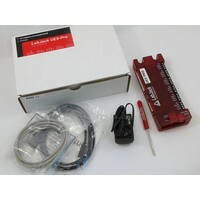 The LabJack UE9 has 14 external analog inputs (AIN0-AIN13) and 2 internal analog inputs (AIN14-AIN15). 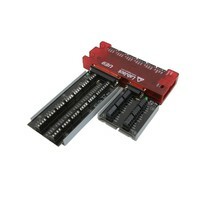 AIN0-AIN3 are available on screw terminals and also on the DB37 connector. 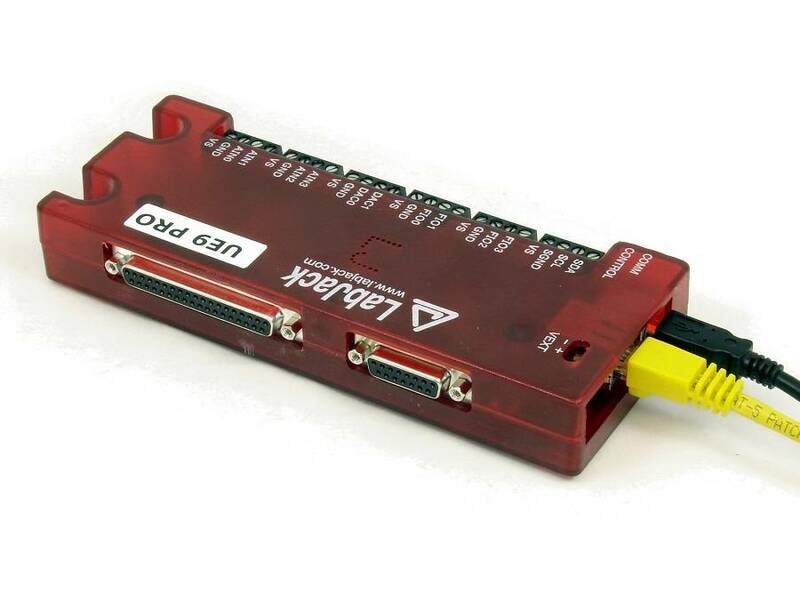 All 14 analog inputs are available on the DB37 connector.Each analog input can be configured individually as unipolar (0-5 volts) or bipolar (±5 volts). 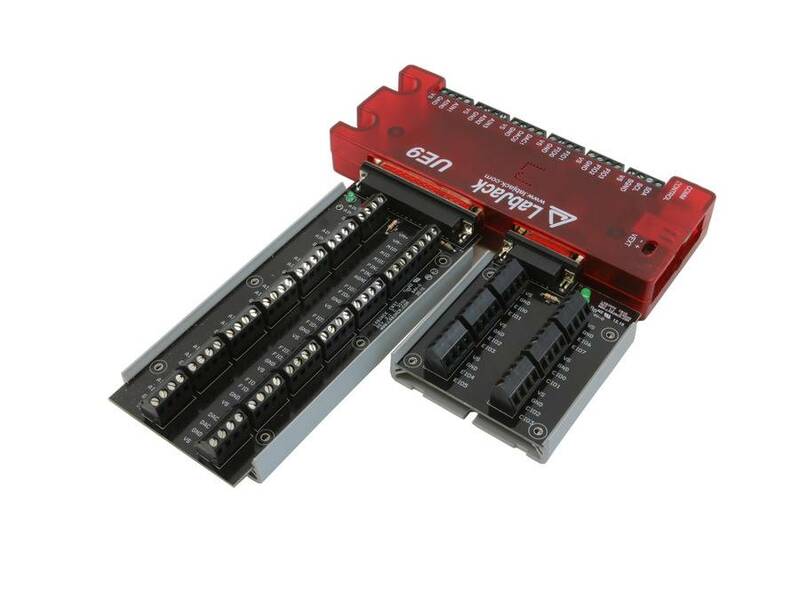 An internal PGA provides gains of 1, 2, 4, or 8 (unipolar ranges only at this time). Analog input resolution is 12-bits at max speed (10 us conversion time), increasing up to 16-bits at slower speeds (10 ms conversion time).Analog inputs can be continuously streamed at up to 50 ksamples/second. 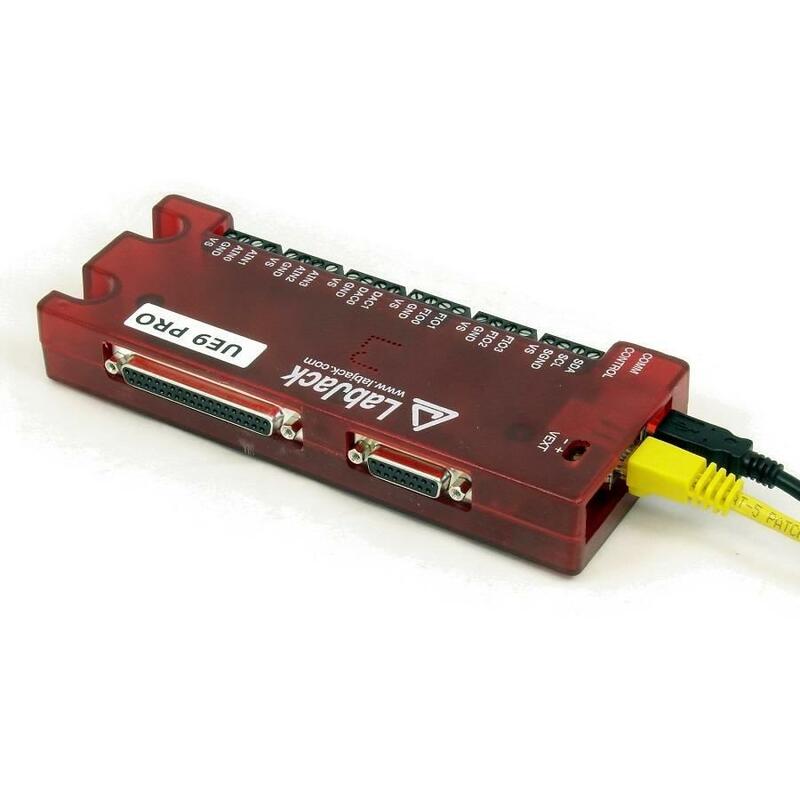 Command/response (software timed) functions typically take a few milliseconds to execute. 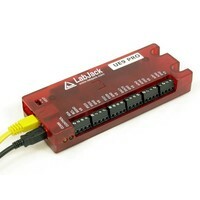 The LabJack UE9 has 23 digital I/O channels which can be individually configured as input, output-high, or output-low. 8 of these lines are called flexible digital I/O (FIO) and can be software configured as up to 6 timers and 2 counters.The first 4 FIO are available on screw terminals and the DB37 connector. All 8 FIO and 3 MIO are available on the DB37 connector, and 8 EIO and 3 CIO are available on the DB15 connector.